Mineral Springs Hotel". A time capsule buried behind this monument will be opened 50 years from ground breaking in October of 2046. Location. 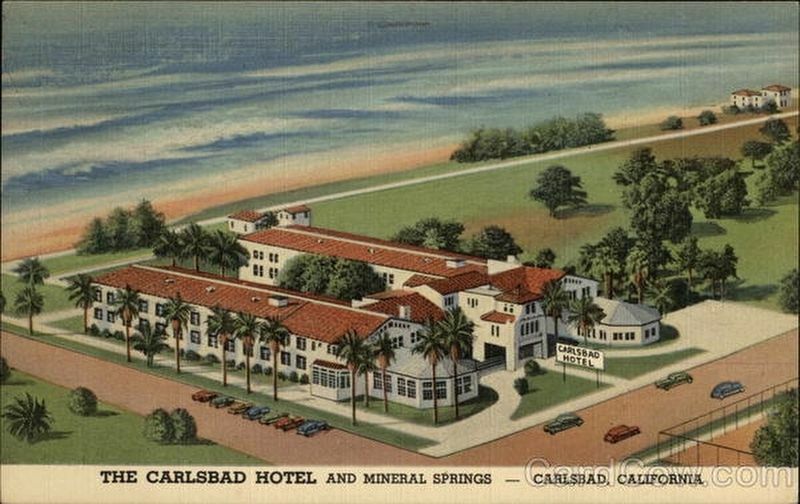 33° 9.564′ N, 117° 21.127′ W. Marker is in Carlsbad, California, in San Diego County. 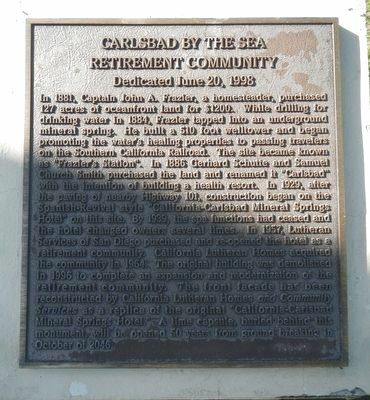 Marker is at the intersection of Carlsbad Boulevard and Grand Avenue on Carlsbad Boulevard. Touch for map. Marker is at or near this postal address: 2899 Carlsbad Boulevard, Carlsbad CA 92008, United States of America. Touch for directions. Other nearby markers. At least 8 other markers are within walking distance of this marker. Capt. John A. Frazier (within shouting distance of this marker); St. Michael's By-the-Sea Episcopal Church (about 300 feet away, measured in a direct line); Twin Inns (about 400 feet away); Carlsbad Santa Fe Depot (about 700 feet away); Carlsbad's First Firehouse (approx. 0.2 miles away); The Magee House (approx. 0.2 miles away); The Twin Inns Gazebo (approx. 0.2 miles away); Relocating the Gazebo (approx. 0.2 miles away). 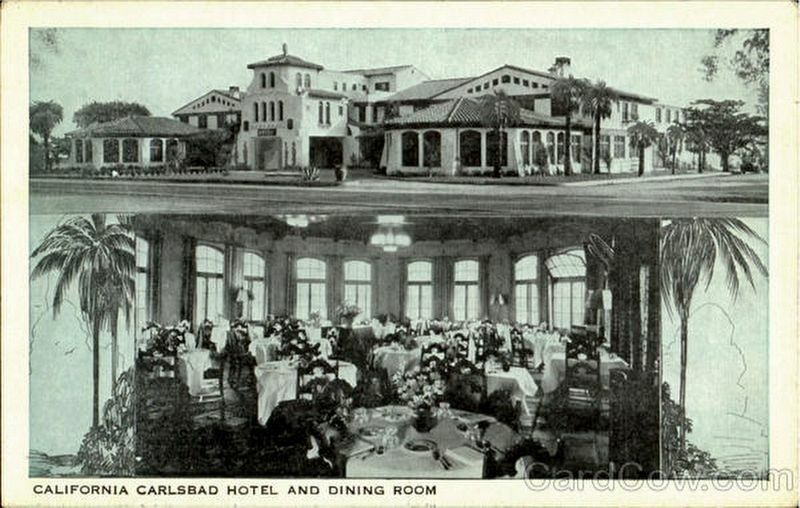 Touch for a list and map of all markers in Carlsbad. More. 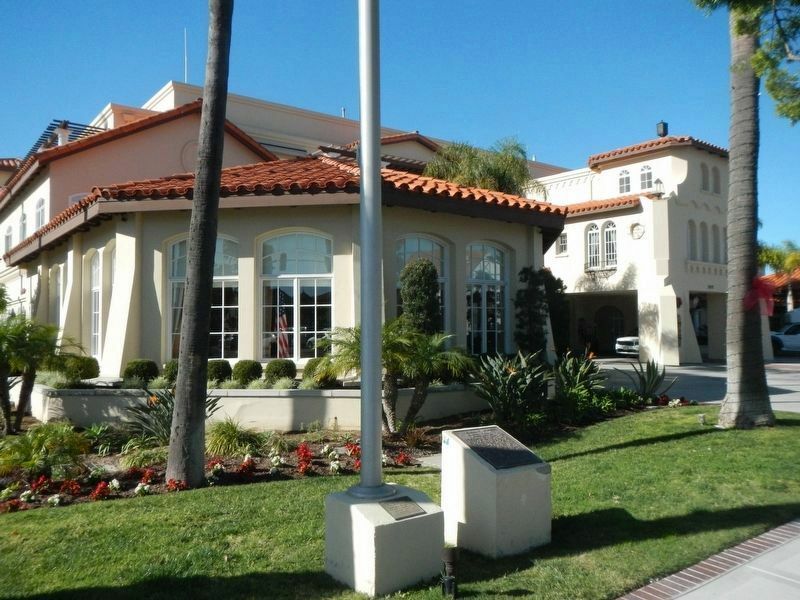 Search the internet for Carlsbad by the Sea Retirement Community. Credits. This page was last revised on December 29, 2016. This page originally submitted on December 29, 2016, by Barry Swackhamer of San Jose, California. This page has been viewed 170 times since then and 6 times this year. Photos: 1, 2, 3, 4. submitted on December 29, 2016, by Barry Swackhamer of San Jose, California.